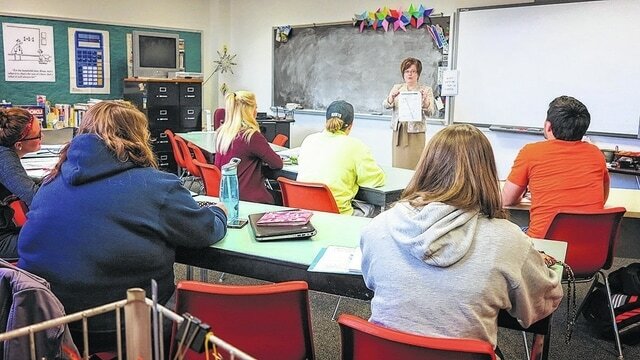 Dr. Monica Hummons teaches a class of future educators. She said the proposed program will help prepare and qualify the University of Rio Grande’s education majors to teach a wider variety of students. Rio Grande, Ohio – The University of Rio Grande has been awarded a new incentive grant by the Ohio Deans Compact on Exceptional Children. The university is one of eight schools to receive the Ohio Deans Compact on Special Education Incentive Grant. The Compact awards these grants to support substantial restructuring and redesign of existing programs. Dr. Monica Hummons, assistant professor for the Bunce School of Education, says the university will be able to use this grant to provide students in area schools with access to teachers who are qualified to teach a larger variety of students. Hummons said this grant gives the University of Rio Grande the opportunity to prepare teacher candidates in single licensure programs to effectively teach students with a wider range of needs without having to get a second license. Hummons said this new program will also benefit area school systems by providing teachers with a stronger background in education and student teachers who can leave their mark on the schools. Hummons and Dr. Valerie Valentine, associate professor for the Bunce School of Education, have been working toward the grant’s approval and are now heading the committee to set up the new program. Over the next year, the program will go through a process for design and several stages of approval. Hummons said if the program is approved, she and Valentine hope to have the program in place by the fall 2017 semester. “We’re very excited to have this opportunity. We have already been talking about creating a new program that will eliminate the intervention specialist program and the early childhood program as they are and blend them, and now we have the incentive and the funding to create it from scratch,” Hummons said. Hummons said the development phase of the program will be completed by June 30.